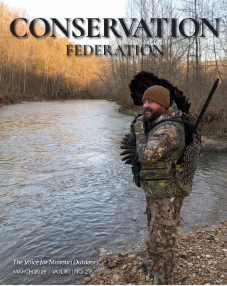 The Design for Conservation Sales Tax is a one-eighth-of-one-percent sales tax that goes to support outdoor recreation and conservation efforts in Missouri. The Conservation Sales Tax is one-eigth-of-one-percent of every taxable sale. For every $8 spent on taxable items, one penny goes to conservation efforts managed by the Missouri Department of Conservation.